The Victorian State Government has recently written a “Code of Conduct for Community Sport”, which we are bound to follow. Please see below for the summary, and the “Code of Conduct” itself. Further information, including a video, is available on the “Code of Conduct” website. “Every person in Victoria has the right to participate in community sport which is safe, welcoming and inclusive. Equally everyone plays a part in ensuring their actions and behaviours are supportive of these values. “As part of this Agenda, the Government is committed to enabling every person, in any capacity, to have the opportunity to participate in community sport without fear of abuse, intimidation and harassment. “The Victorian Code of Conduct for Community Sport outlines behaviours which are expected to be followed by every person involved in community sport, as well as identifying the behaviours which must not be tolerated. Breaches of the code (e.g. violent or abusive behaviour, discrimination or intimidation) will be dealt with in accordqance with the Cycling Australia Code of Conduct and CCCC’s Rules for Racing. The purpose of the Code of Conduct (Code) is to describe the type of behaviour which Cycling Australia (CA) is seeking to promote and encourage its members and supporters to adopt. 2.1. Persons acting for and on behalf of CA. 2.2. Athletes, coaches, managers and support staff of CA. 2.3. Persons participating in CA sanctioned events. 2.4. Officials, Commissaires and support personnel assisting or conducting CA events. 2.5. CA appointed Delegates and employees of CA. 3.1. CA wishes to operate in an environment where people show respect for others and their property. Respect is defined as consideration for another’s physical and emotional well being and possessions, to ensure no damage or deprivation is caused to either. 3.2. CA wishes to operate in an environment that is free from harassment. Harassment is defined as any action directed at an individual or group that creates a hostile, intimidatory or offensive environment. Refer to ASC Guidelines for Harassment-Free Sport. 3.3. CA wishes to operate in a non-discriminatory environment. Respect the right, dignity and worth of every human being – within the context of the activity, treat everyone equally regardless of gender, ethnic origin or religion. 3.4. Persons to whom this Code applies acknowledge and agree to comply with the disciplinary and grievance procedures promulgated by CA. If any disciplinary action is taken, persons directly affected shall be given the opportunity to participate in those proceedings and the right to appeal against any decision against them. Observe and comply with the Anti Doping Rules set out in the CA Doping Policy. 1. PURPOSEThe purpose of these Rules is to allow participants and officials to take part in racing which is safe, enjoyable and complies with the Cycling Australia Code of Conduct. 2.1. Persons participating in CCCC events. 2.2. Officials, Commissaires and support personnel assisting or conducting events. 3.1. These rules are designed to increase participation in events conducted by CCCC, and ensure continued access to the various circuits and venues made available to CCCC for conducting races. 3.2. Persons to whom these rules apply acknowledge and agree to comply with the disciplinary and grievance procedures promulgated by CCCC. If any disciplinary action is taken, persons directly affected shall be given the opportunity to participate in those proceedings and the right to appeal against any decision against them. Report falls, injuries or dangerous incidents to the Commissaire. Disqualification and two week suspension from racing. Please note that the enforcement of these rules is supported by CycleSport Victoria and any suspension applies to all Cycling Australia sanctioned events. Blatant and willful disregard of the rules, or deliberate conduct which endangers the safety of other participants will not attract a warning. Such offences will be punished with disqualification and suspension. CCCC’s crits are the biggest game in town. We’re renowned for professionally run, fun and safe races, with a grading system that ensures riders compete at a level that is both challenging for their fitness and suitable for their level of experience. Every rider must have a current Cycling Australia or UCI competitive license, or purchase a day license or 3 race license. Riders will be expected to produce their license, club receipt or email confirmation of on-line renewals at the entry table each time they race. Entry fees are used to pay prizemoney to the top finishers in each grade. We are not a bank, and providing change from large denomination notes (regardless of how many people you want to pay for) means we will not have enough smaller notes left to divide the entry pool into the 30 or so prizes that are awarded at each race. We also do not have the time to discuss this policy on race day, so please come prepared – auto tellers do distribute $20 notes! On race day, no changes can be considered to a rider’s allocated grade due to the number of riders we need to process in the short period of time before each race. 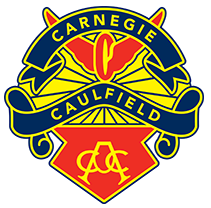 Riders who believe they are no longer competitive in their current grade should write to or email the Chief Handicapper, handicapper@carnegiecycling.com.au , outlining their case a couple of days ahead of time. The safety of riders, officials and members of the public is paramount at all times. On road circuits like Glenvale Crescent, extensive traffic control measures are employed to minimize conflict with other road users, but all riders must be aware that these races are conducted on public roads and be prepared to yield to motorists or pedestrians at any time. All participants are expected to be familiar with CCCC’s Rules for Racing and the Cycling Australia Code of Conduct. We expect all competitors to show respect and courtesy towards all other riders, officials and volunteers. During racing, in addition to the officials observing from the side lines, CCCC utilize riding marshals and commissaires (cycling’s referees) within bunches to ensure all riders compete in a fair and safe way. Directions from marshals and commissaires must be immediately followed without question – failure to comply can result in the Chief Commissaire imposing monetary fines and suspensions in addition to disqualification from the race. Riders who leave the racing circuit proper, which include ‘ripple strips’ at Sandown, may not improve their position within the bunch. Both hands are to be kept on the handlebars, unless a rider is taking a drink. Unfortunately, this also means that victory salutes are banned. Any rider involved in a fall must report to the Chief Commissaire or entry table officals to have the details of their accident recorded, regardless of whether they require first aid treatment. Lapped riders must withdraw from the circuit at ‘3 to go’ or when directed by officials. Helmets must be worn at all times you are riding your bike – this includes warming up and cooling down on either roads, carparks and footpaths. ALL cars, officials and bike riders on both a Tuesday and Thursday nights must now enter the complex via the Princes Highway, melways ref 80 D 7. The Sandown road entrancewill be CLOSED to all traffic. Riders must present a current Cycling Australia license or receipt in order to register. Day licenses and 3 Ride licenses will be available. $50 and $100 notes WILL NOT be accepted at the entry table. Silver coins WILL NOT be accepted at the entry table. Riders will be registered only in the grade determined by the Handicapper. Applications to change grade WILL NOT be considered on race day. All requests to change grade must be made at least 24 hours prior to a race, in writing or by email.